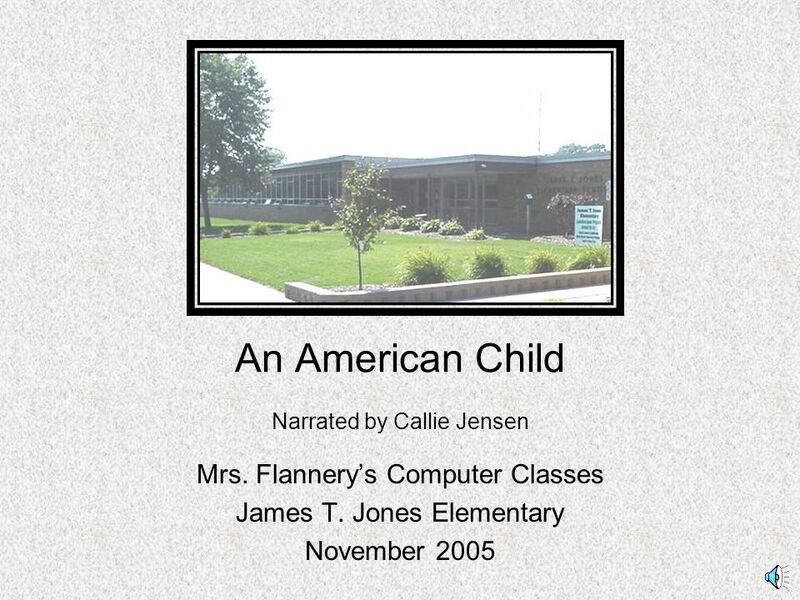 An American Child Narrated by Callie Jensen Mrs. Flannery’s Computer Classes James T. Jones Elementary November 2005. 3 Time to get up and have breakfast. I usually eat cereal. 4 It’s 7:00 am and I’m getting dressed for school. 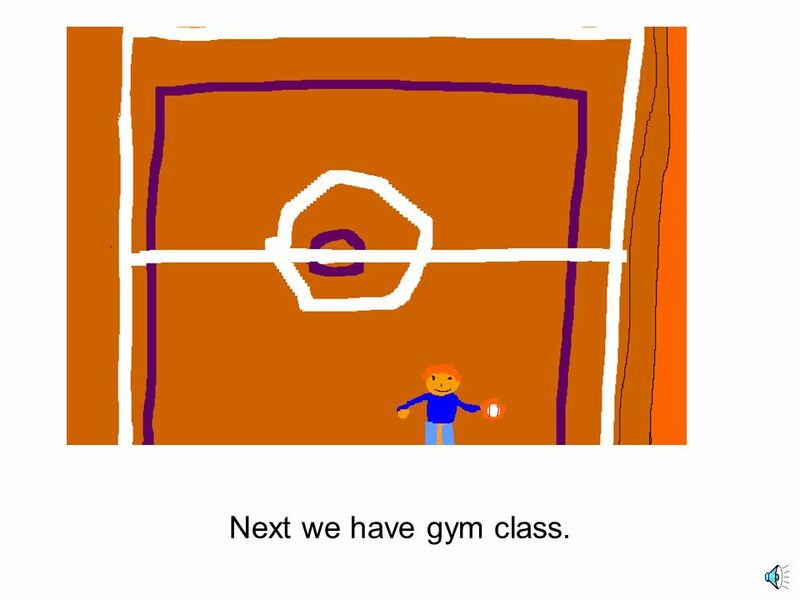 8 Next we have gym class. 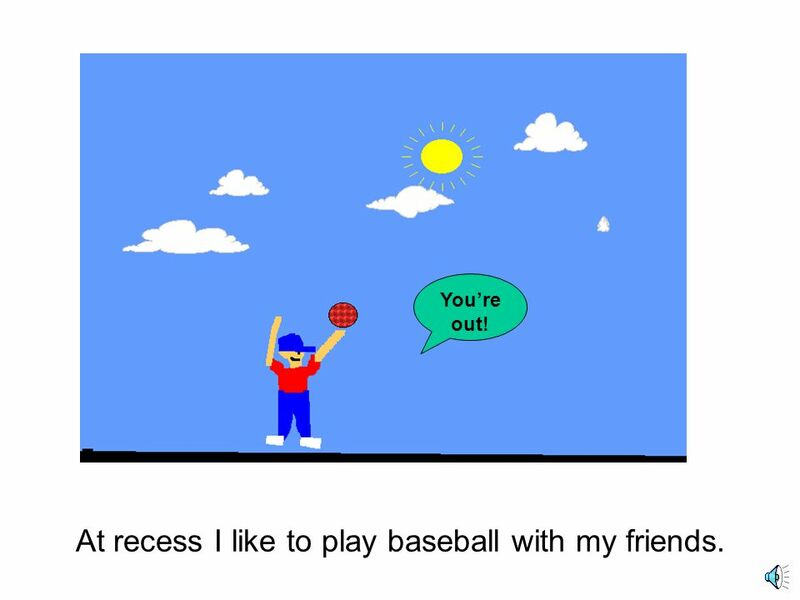 9 At recess I like to play baseball with my friends. You’re out! 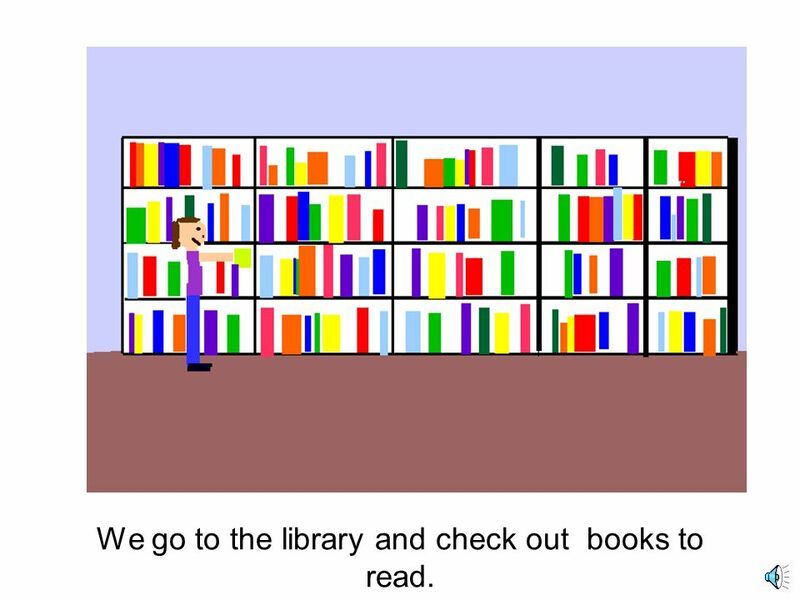 10 We go to the library and check out books to read. 12 It’s time for lunch. 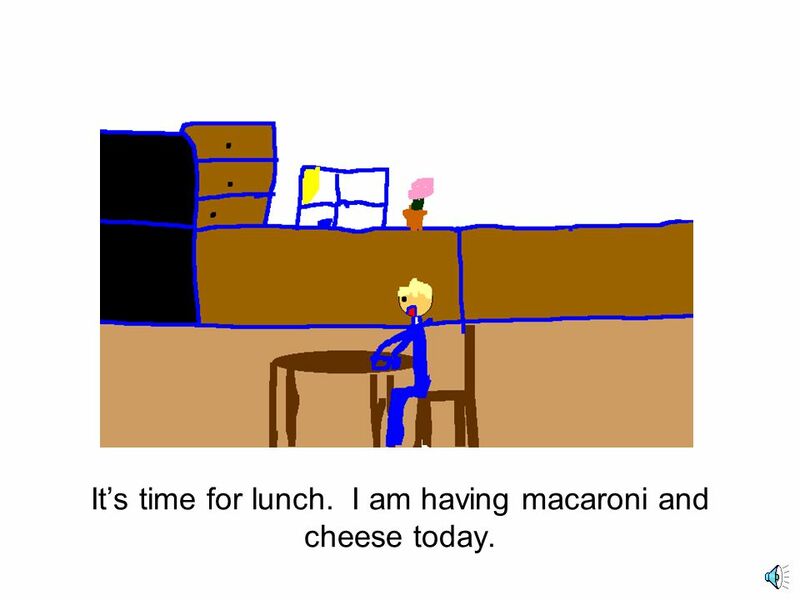 I am having macaroni and cheese today. 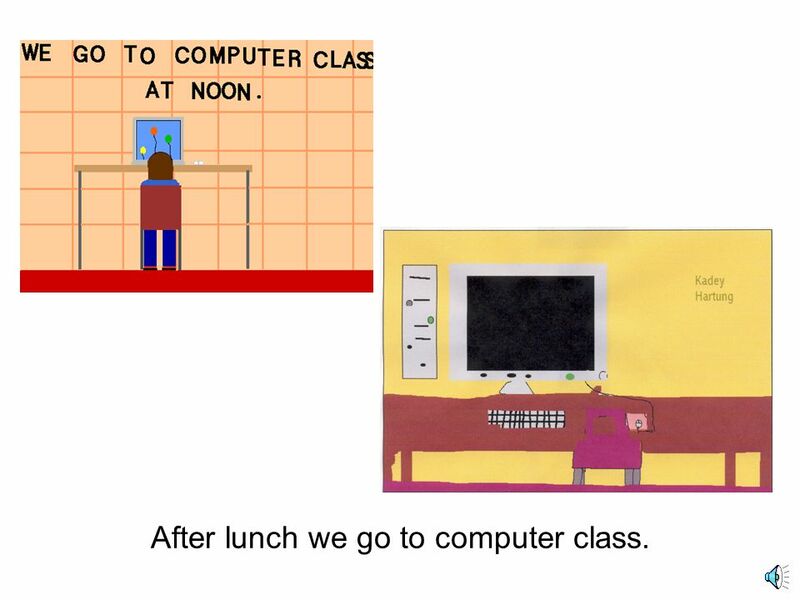 13 After lunch we go to computer class. 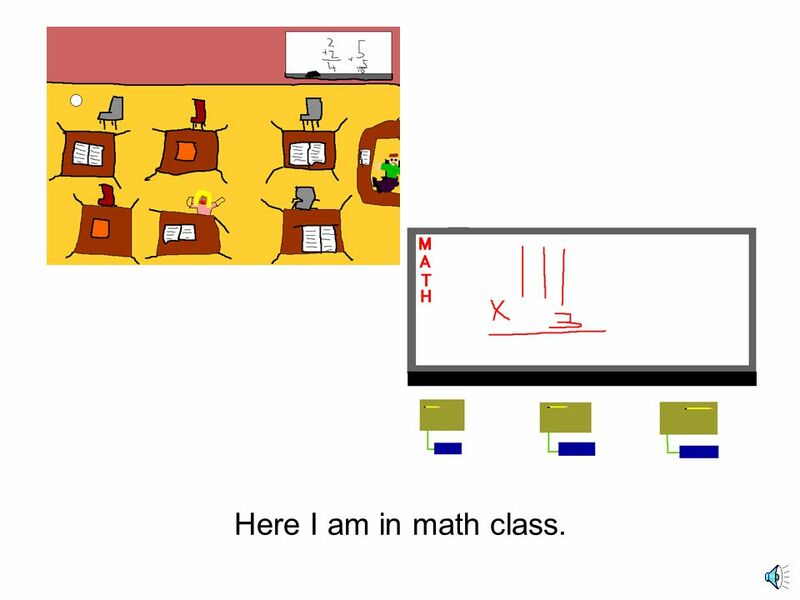 14 Here I am in math class. 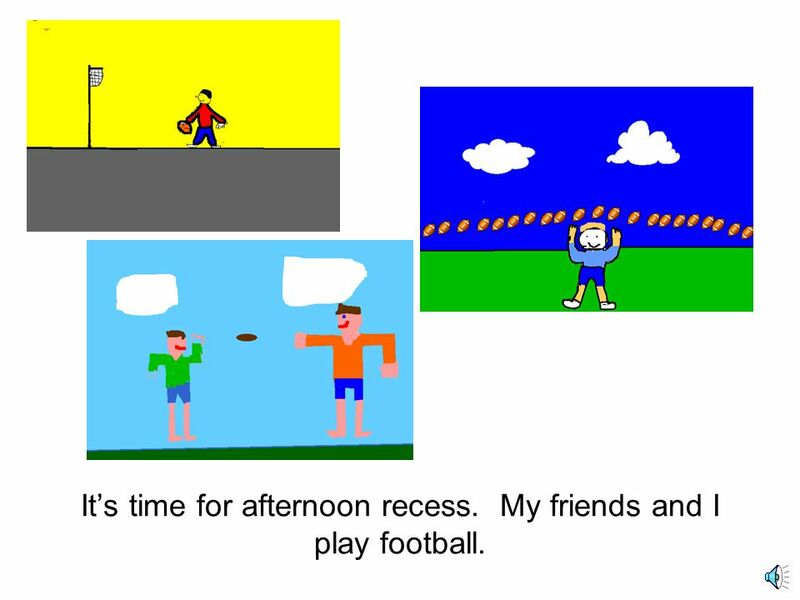 15 It’s time for afternoon recess. My friends and I play football. 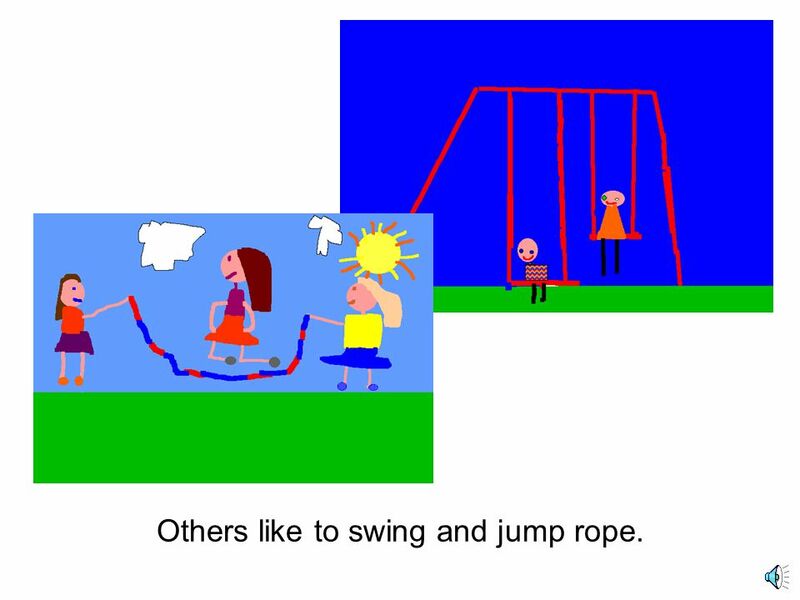 16 Others like to swing and jump rope. 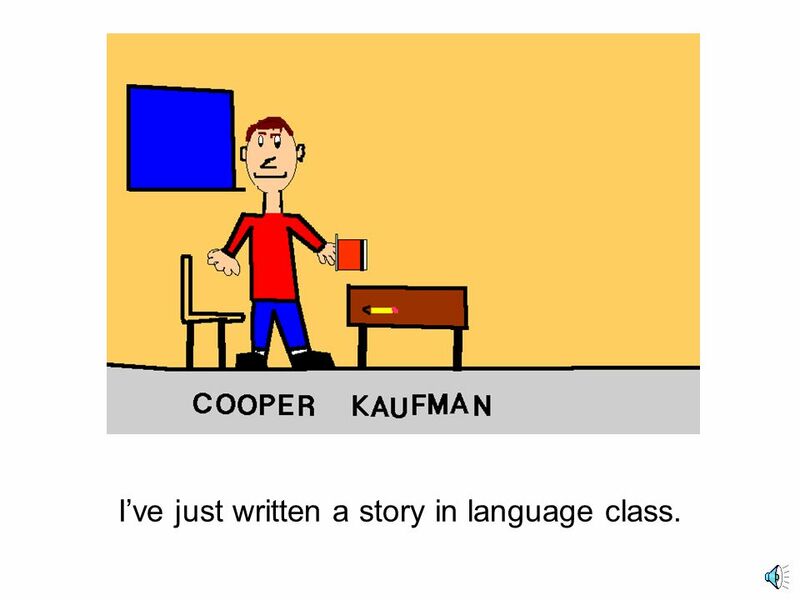 17 I’ve just written a story in language class. 18 I am on the wrestling team. We practice after school. 19 After school I go to basketball practice. 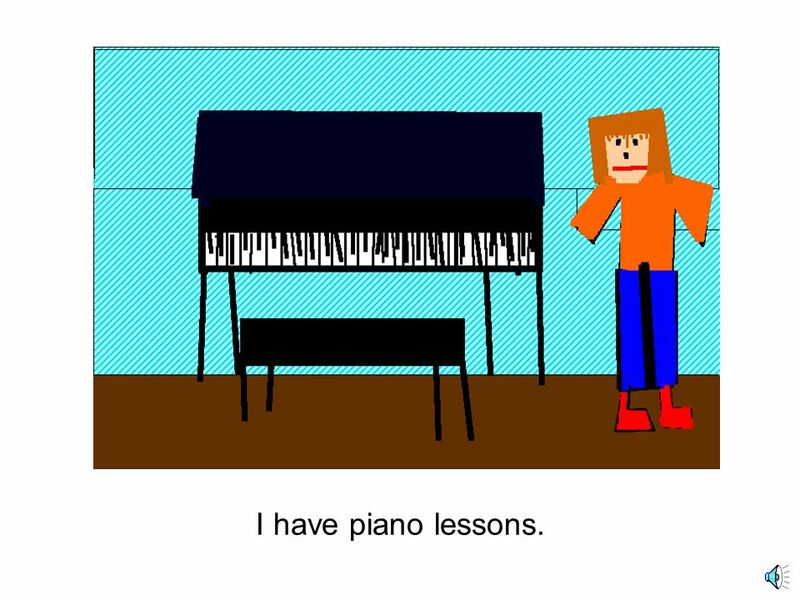 20 I have piano lessons. 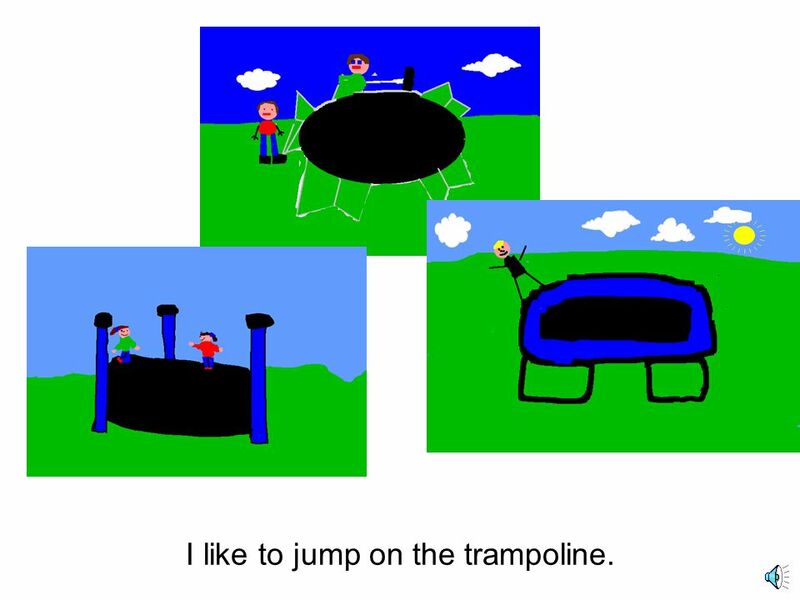 21 I like to jump on the trampoline. 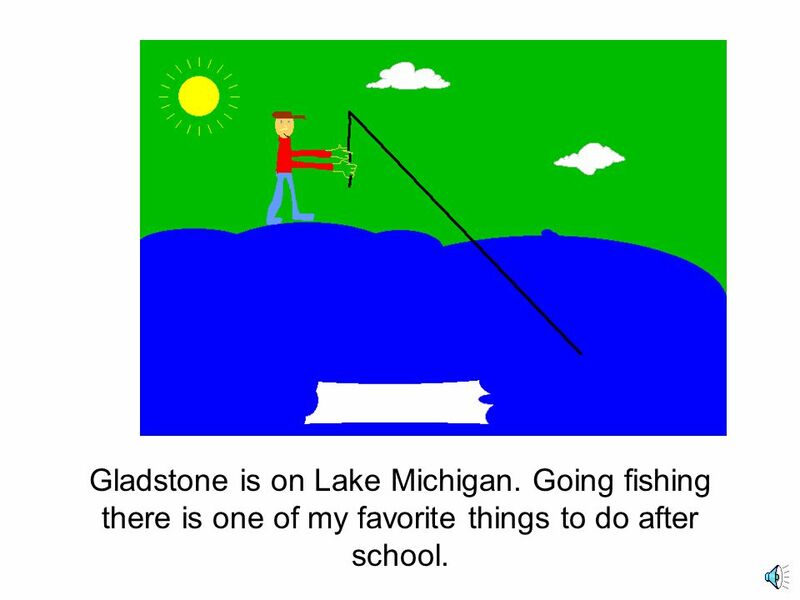 22 Gladstone is on Lake Michigan. Going fishing there is one of my favorite things to do after school. 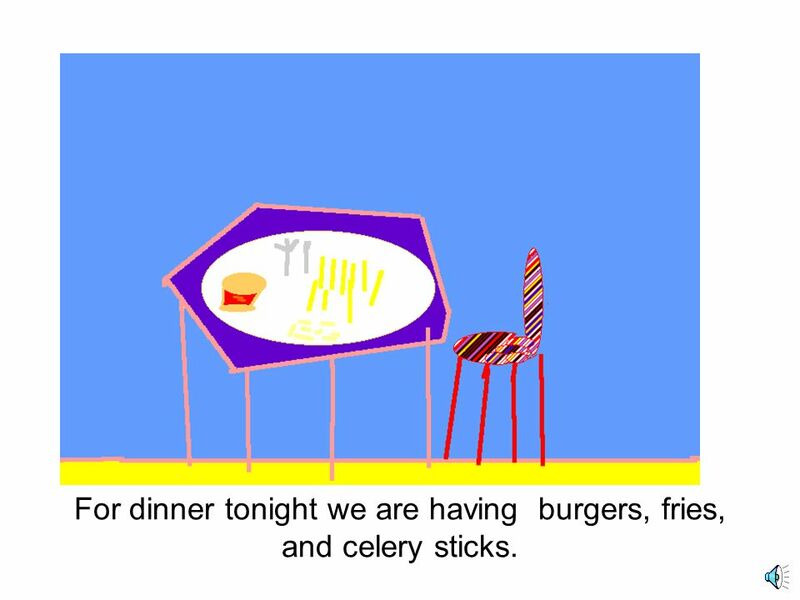 23 For dinner tonight we are having burgers, fries, and celery sticks. 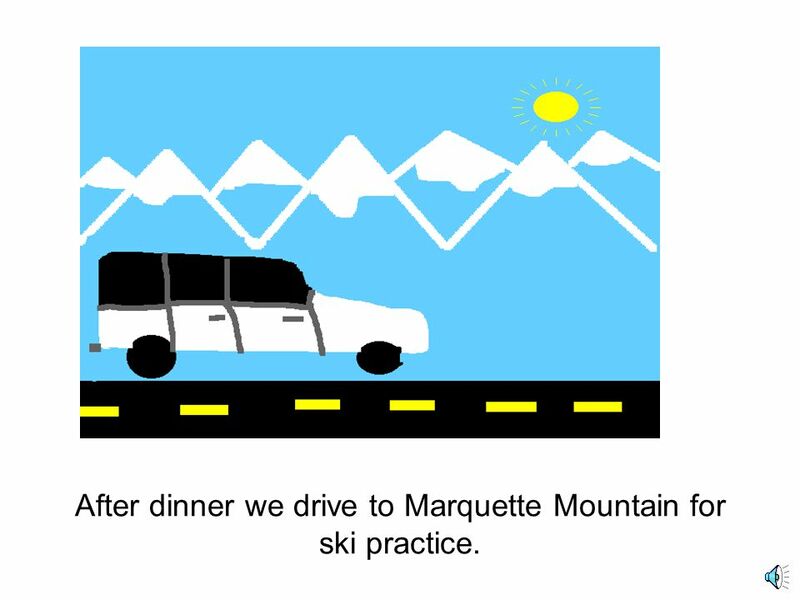 24 After dinner we drive to Marquette Mountain for ski practice. 25 I get my homework done before I go to bed. Sometimes I have a snack. 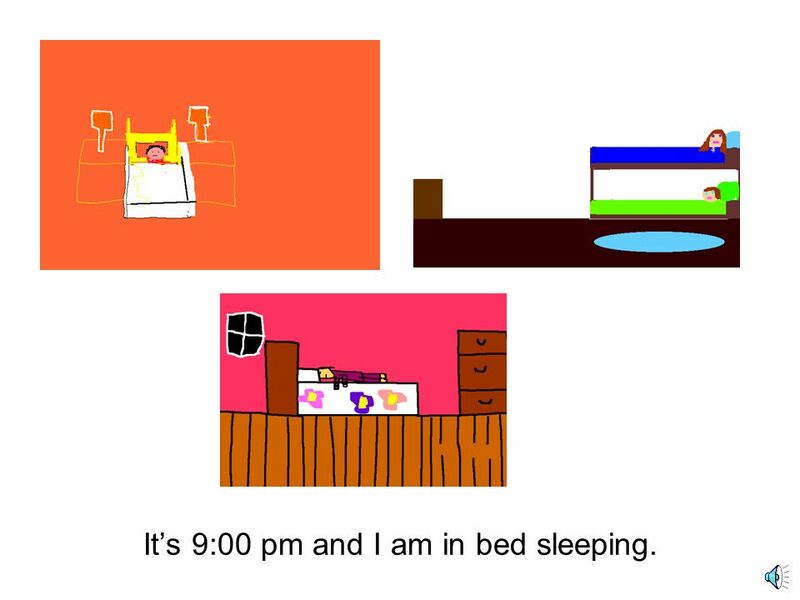 26 It’s 9:00 pm and I am in bed sleeping. 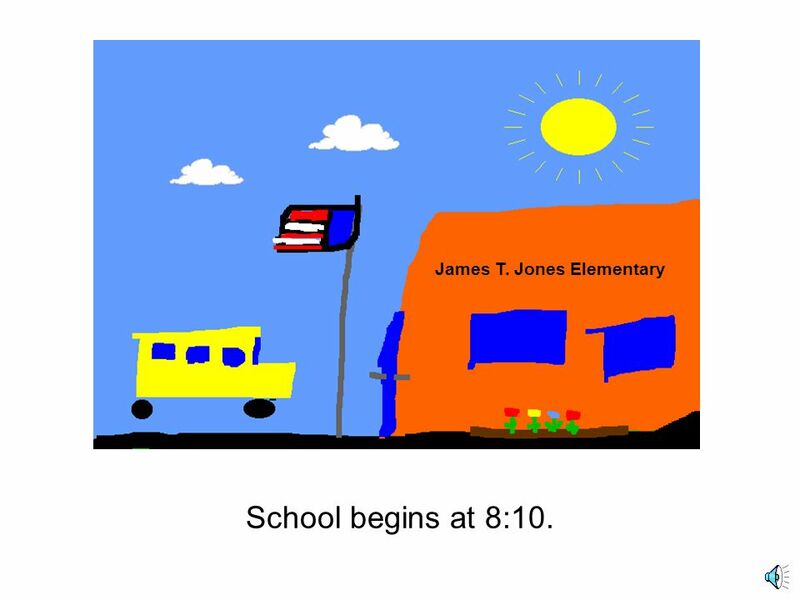 Download ppt "An American Child Narrated by Callie Jensen Mrs. Flannery’s Computer Classes James T. Jones Elementary November 2005." By: Marie Zapletaliková. My daily program I usually get up at 6:30a.m. I don´t have breakfest. I walk to school at 7:30a.m. 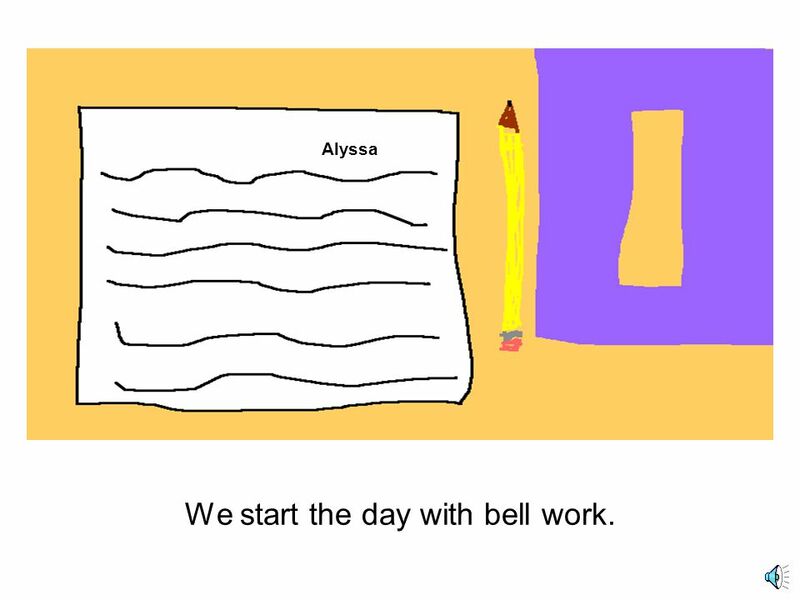 Lessons start at 8:00a.m.and. 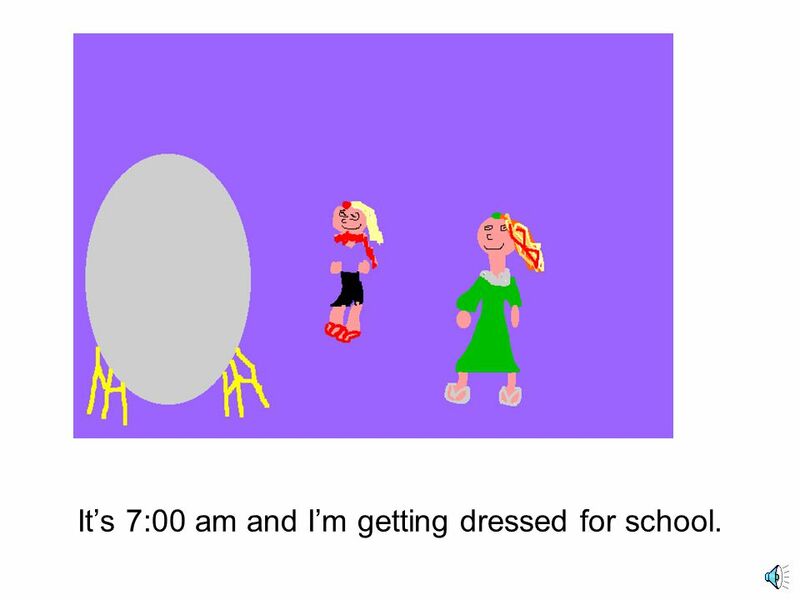 Get up and Go Questions This story is mostly about a little girl who. A. washes her face B. plays with her dog C. gets ready for school D. rides the. What do we do? 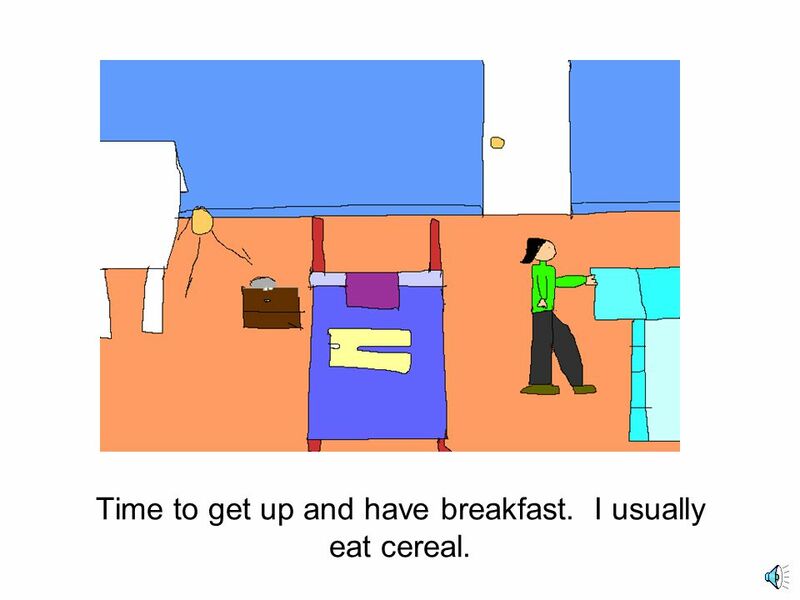 We usually get up between 6 and 7 a.m.. We brush our teeth, clean our faces, dress ordinary clothes and eat breakfast. 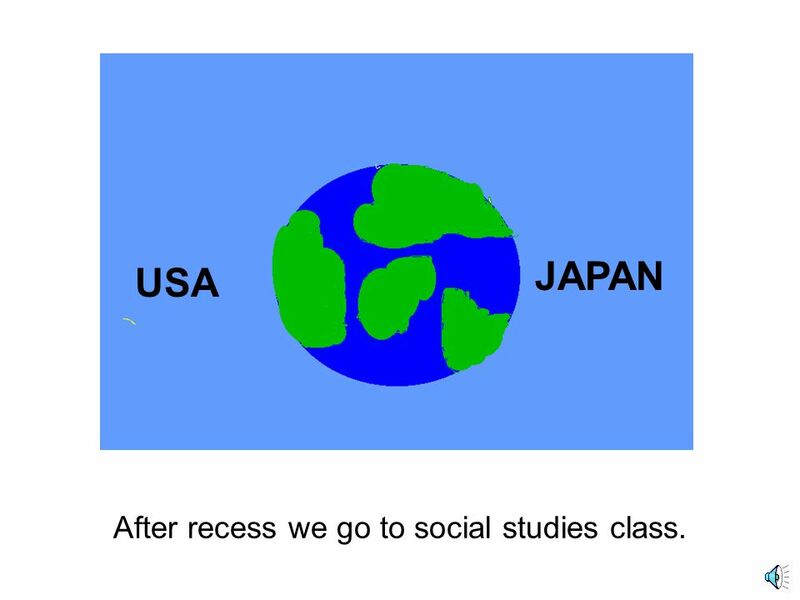 Then we go to school. My School in Thailand By Nay Soe I went to school in Thailand. I have two name they are Naw Mu Mu and Nay Soe. C 2.1 S 26. 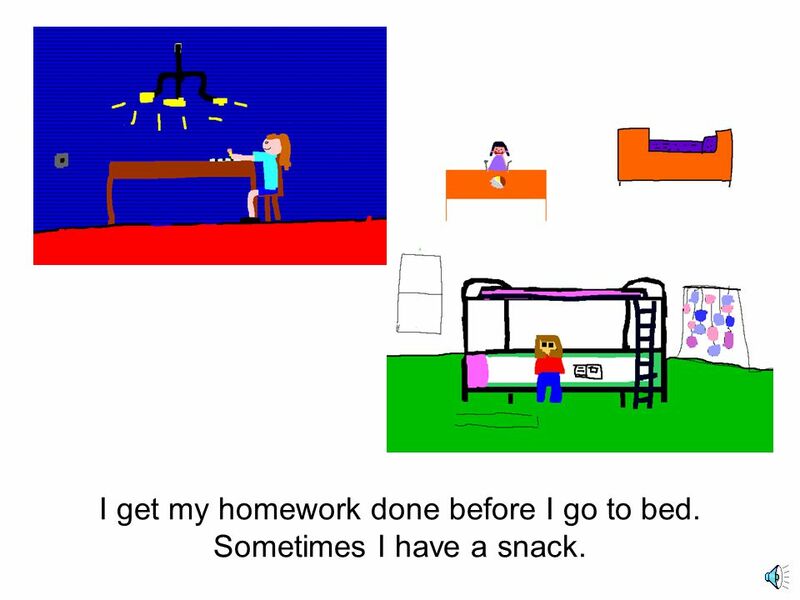 Audio script and answers C have a shower 2 have breakfast 3 go to school 4 have lunch 5 play football 6 go home 7 have dinner 8. My Daily Life!!! By Vasso. MORNING I wake up at 7 am every day. At 8 am I eat my breakfast and leave for school. 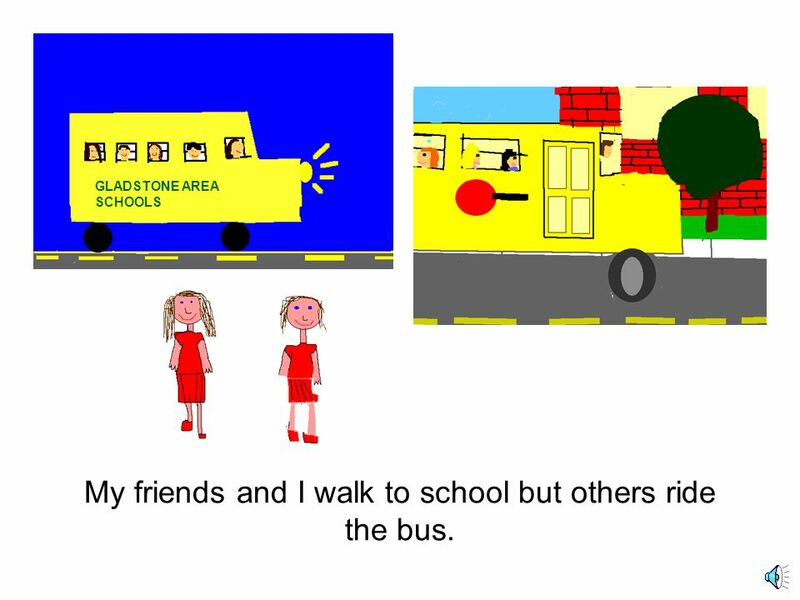 I usually arrive at school just 1 minute. My Morning Routine By Archie. THE DAILY ROUTINE IN THE MORNING (12 a.m- 12 p.m.) To get up To wake up To brush my teeth/my hair To wash my face/my hands To have a shower To get dressed.